Each in bubblebag,inner box,20pieces per carton. 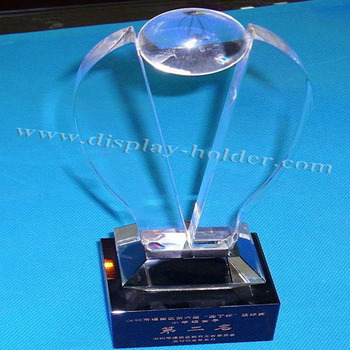 We produce many crystal gifts, acrylic award. This award is used for souvenir. It is like a flower. The top is transparent and base is black. We can engrave on it. We also accept customer's own design. If this is not the exact product you are looking for , or maybe you want to make same change, please just tell me .I will make it exactly as your requirement. You enquiry will be replied within 24hours. Fast delivery: 10days after 30% deposit. Safe packing: Each in bubblebag,inner box,20pieces per carton. Good quality:Every products will be strictly inspected before shipping. Small MOQ:Only 10 pieces for customers to check our quality. We are one of the leading manufacturer of acrylic products in shenzhen,we produce acrylic displays,acrylic holders,acrylic box and so on.Please see more acrylic products we made before.